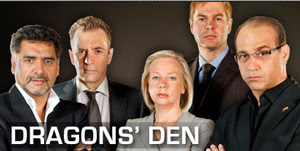 BBC’s reality investment program Dragons’ Den has made an investment in online gaming site GamingAlerts.com. On Monday night, Emmie Matthews and Ed Stevens, founders of the site, recieved a £200,000 investment for their gaming site; marking the single largest amount ever awarded on the immesely popular program. Watch the video clip on BBC. The Dragons’ Den panellists are famous for striking fear into the hearts of the hopefuls who turn up asking for investment. But Dragon Theo Paphitis was so impressed with their project he agreed to invest all the money on his own. Users select their interests, and Gaming Alerts tailors the best odds, bonuses, free bets and freeroll poker tournaments that fit the player’s exact criteria. This tailored-content solution is a convienience for users and a hugely valuable media outlet for online gaming sites. Paphitis has built his fortune on turning businesses into successes. He has transformed Ryman, Contessa, La Senza and Partners the Stationers into successful and profitable retail companies. He now heads up a 350-store chain a group turnover approaching 250m. Theo’s style and knowledge is part of the reason why Dragons’ Den has been such a huge ratings hit since its launch in 2005.